Pulling the Lion’s Tail: Competition & Rivalry in Nineteenth-Century Science. 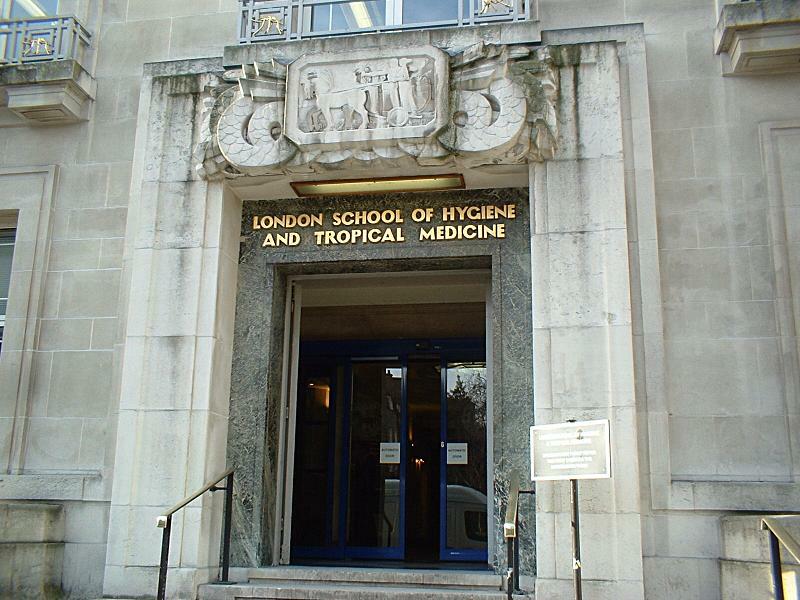 For the past week I have had the immense pleasure of working on the Ross Project at the London School of Hygiene and Tropical Medicine. With 19,000 items in the archives I have my work cut out for me! Among the beautiful and sometimes frankly illegible handwritten letters, photos and telegrams (which unfortunately I cannot include photos of due to copyright agreements) I have found some truly exciting insights into the lives of nineteenth century scientists. Something that struck me particularly was the sense of competition. We may be familiar with the concept of scientific rivalry, even with the pettiness of bids for priority or recognition – many historical claims to fame are ruthless – but to see this played out in real time, not relayed through a textbook or journal is irreplaceable. Ross’ dispute with Italian parasitologist Giovanni Battista Grassi is well-known, both men researching the mosquito theory of malaria in the 1890s, however to my knowledge less well known is the rivalry (or rather fairly one-sided hatred) of George Nuttall and Robert Koch. You may be familiar with Koch as the Nobel prize-winning German bacteriologist who isolated the bacilli responsible for Anthrax, Tuberculosis and Cholera. However you might not be familiar with the eminent parasitologist George H. R. Nuttall who, among other things, identified the organism responsible for gangrene, the importance of intestinal bacteria in digestion, and established the first British Journal dedicated to Parasitology. Despite their seemingly mutual interests, Nuttall gossips, undermines and bad-mouths Koch in a series of letters written to Ross in the late 1890s, and with apparent conviction. I heard the other day that the Koch institute is full of birds and mosquitoes! But this was a private tip – it may interest you? They are awfully suspicious and secretive at the institute. The [report] I sent you has rather upset them and my paper on malaria will do still more as it [proves pretty] distinctly that they are not “in it” as the Yankee says. The glee he takes in this spying on a rival is evident, and climaxes in a heated letter of March 1899 where he encloses a copy of a damning report on Koch’s apparent bad behaviour; ‘The following pages will interest you, I have written them in duplicate as I think some leading men should know about the abominable way some people are behaving.’ The subversive ‘some’ clearly refers to Koch, whom he accuses of ‘scientific pirating’ and the claiming of others’ discoveries for his own, ignoring their contributions and unfairly claiming credit. He relates a particularly shocking dispute between Koch and Grassi, where Koch allegedly tries to sabotage Grassi’s experiments by spying on his assistants, collecting all his specimens, placing official restraints on non-German commission mosquito collecting in Rome (which is only repealed when Grassi threatens to go to the Italian newspapers) and generally not giving credit where credit is due. He rouses others to protest against what he gleefully dubs “new Koch methods” – making his name synonymous with ‘scientific brigandage’. He then adds ‘though for that matter they [Koch methods] are not so very new either’ suggesting that nothing Koch does could ever be original. Nuttall gets his way when Ross diligently shows the transcript to Manson and others, the wording of which he finds ‘highly amusing’. Having not made it through all of the correspondence, or heard Koch’s side of the story, I don’t know how far these events reflect the historical reality, but they certainly illustrate a deep professional hatred between scientific colleagues of opposing nationalities (Nuttall is British-American, Koch is German) and perhaps a fierce and admirable defence of the right to intellectual property. He laments (perhaps ironically in light of Ross’ later rather messy disputes with the Italians) that [Ross is] ‘the only man who shows the proper spirit of fair play. All the rest want to bag each others’ game in a manner that disgusts me.’ And in defence of Grassi he says ‘Koch has got hold of the wrong lion by the tail in Grassi, as he is known in Italy to be a terror with tongue and pen. If there is a fight on, he is well prepared.’ This is a fight Ross may have found amusing then, but would undoubtedly have felt the full force of in later years when he himself had a tug on the Italian lion’s tail. George H. R. Nuttall, Letter to Ronald Ross, 13th August 1898. Nuttall to Ross, 25th September 1898. Nuttall to Ross, 21st December 1898. Nuttall to Ross, 19th March 1899. Nuttall to Ross, 13th April 1899.